BROWNSBURG, Ind. — Oriol Servia figured out the perfect way to describe to Americans how significant it is in Europe that famed Formula One driver Fernando Alonso is skipping the series’ crown jewel in Monaco to compete in America’s Indianapolis 500. “Think back to the time of Bill Gates and Steve Jobs, ” said Servia, the IndyCar veteran who will join Rahal Letterman Lanigan Racing for the 2017 Indy 500. “It’s like Bill Gates showing up at the Apple Christmas party instead of his own, because he knows it’s going to be cooler. Servia has firsthand knowledge of the European reaction to Alonso’s stunning decision. Not only because he, like Alonso, is from Spain, but because he just returned from Europe on a multi-country tour promoting the 500 with Mark Miles, CEO of Hulman & Co., which owns and operates Indianapolis Motor Speedway, and other Verizon IndyCar Series officials. 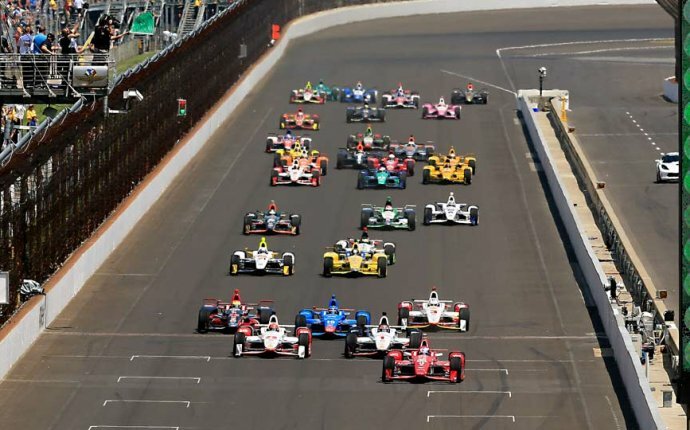 Indianapolis Motor Speedway president Doug Boles told The Indianapolis Star that in the recent past, neither IndyCar nor IMS has sent a delegation to Europe because they didn’t believe enough enthusiasm for the race existed. That changed the day Alonso, Honda, McLaren and Andretti Autosport announced their shocking news. The numbers clearly support those reports. The metrics following Alonso’s test at IMS last week were staggering, especially in comparison with other IndyCar live streams. Between Facebook and YouTube, Alonso’s test at IMS has so far netted more than 2.7 million total views. For comparison, an estimated 343, 000 viewers watched NBC Sports Network’s live telecast of the April 29 race at Phoenix Raceway. Perhaps most important to Miles, Boles and company about the Alonso viewership was how much of it came from Europe. Per IndyCar, the United Kingdom was the No. 1 region in terms of consumption of the Facebook live stream. And 30 percent of all web traffic to IndyCar.com originated from Europe. On Twitter, “#AlonsoRunsIndy” trended in the UK, Spain, Italy, Ireland and Poland while #Indy500 trended in Spain and the Netherlands. That kind of international exposure could be enormous for IndyCar, Servia said. While many Europeans have heard of the 500, not many of them know much about it. Alonso’s entry is a great opportunity for IndyCar to put its product in front of as many new eyes as possible.